About one in ten forklifts are involved in accidents every year and cause almost 100,000 injuries annually. Besides the number of hurt citizens, forklift accidents cause many other catastrophes with one being the devastating costs. When safety training has the power to help companies save thousands of dollars each year and prevent accidents, it’s an investment that pays for itself multiple times over. However, many companies skip this essential training and put their entire workplace in danger, risking the following hidden costs. A few years ago, a maintenance worker in Massachusetts was tending to commercial flower beds, digging up the flower beds along the streets, when his forklift randomly collapsed and fell through the sidewalk to a delivery chute underneath. After the investigation, it was found that the worker did not know that the city’s sidewalks are built on top of loose, decades-old grating. The accident did not kill the worker but it most certainly caused substantial damages to the forklift and to the sidewalk area the employee was working on. It’s estimated that a forklift out of commission for repairs costs thousands of dollars every day in lost profit. 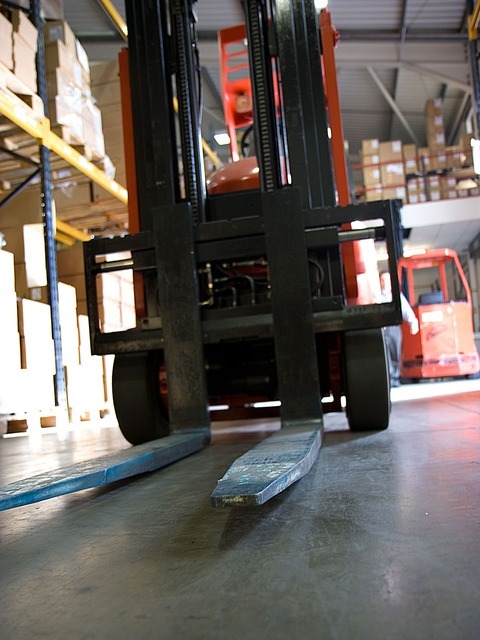 Forklift damage contributes greatly to the amount of unnecessary costs to a company. It’s estimated that forklift damage can add as much as 5% to the cost of a standard truck lease. When considering an entire fleet of powered trucks, the costs add up to thousands of dollars of unnecessary, unplanned costs each year. It is the employer’s responsibility to cover any medical expenses for a worker injured in a work-related accident. The cost of forklift accidents involving injured workers can cost as high as $38,000 in direct costs per injured worker and $150,000 in indirect costs. According to the CDC, loss of productivity due to absent worker’s costs employers approximately $225.8 billion each year. This is about $1,685 per employee. Accidents involving forklifts may not only involve loss of productivity from an injured worker, but also medical expense coverage, equipment damage, and a forklift out of active duty. When calculating the cost of forklift accidents, employers also need to take into account the management time spent looking into the injured worker case, investigating the accident, and supervising the tasks needed to get the go-ahead to resume work. OSHA requires that employers provide a hazard-free work environment and safety training to employees. As a result, if they find out a workplace was operating under unsafe practices and with untrained workers following an accident, fines will be involved. For non-serious violations, fines start at $12,675 per violation. The penalty for willful or repeated violations is $126,749 per violation. 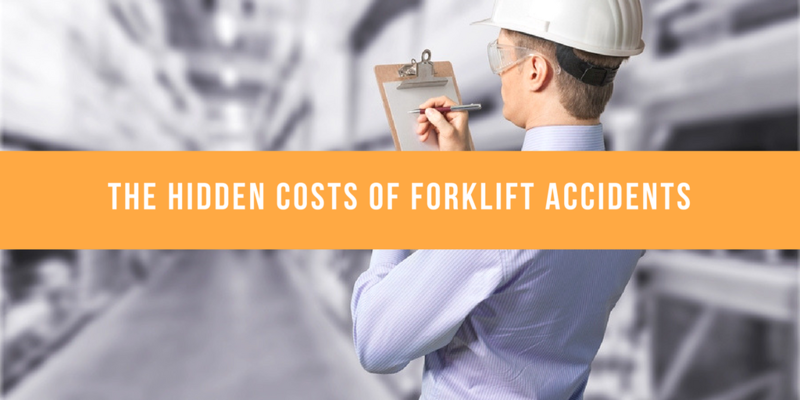 The cost of forklift accidents extends well beyond the price of equipment repairs and structural damage; it may cost an employer their business. A lack of safety in the workplace often leads to reduced morale and increased stress among employees. When keeping workers safe is a low priority, profits and worker pay is often negatively impacted. And when fear is brought into the picture following workplace accidents, a company may find itself lacking its best employees who left seeking greener pastures. The average cost of replacing personnel equals to about $30,000. For smaller organizations especially, the loss of key personnel may make it impossible to meet contract deadlines. The failure to complete projects can end a business, or tarnish a company’s reputation and lead to loss of new or repeat business. Injured workers, forklift damages, and costly fines are serious consequences of forklift accidents. However, fatalities caused by forklift accidents are the very real and very serious consequences that can happen. It is estimated that about 85 forklift deaths happen every year on worksites, and the majority of them are preventable. Not only are employers left with the task of paying for any incurred medical expenses and compensation costs, but families are left without their loved ones. Proper training and certification is quite possibly the most important way for workers and employers to reduce the number of fatalities on worksites and to protect themselves from these severe consequences. A few years ago in 2015, a Texas forklift operator was involved in a serious accident that nearly claimed his life. Luckily, rescue firefighters came to his aid and were able to set him free and save his life. The worker was transporting a high load backwards on a forklift when the lift suddenly tipped over. The worker was pinned underneath the lift and unable to get out. The initial responding firefighters were not able to lift the forklift off the operator due to the awkward angle the lift was positioned in. Firefighters from Fort Worth were called. They were eventually able to lift the forklift and get the worker out using air-filled bladders to lift the equipment. The worker was flown to a nearby hospital where he sustained severe leg injuries at the minimum. After investigating the situation more closely, the Captain of the fire department said that the operator was working with a load high up in the air while backing up with it when the counterbalance rolled over. It’s not certain how much training, if any, the worker had received prior to this accident. While many operators and employers believe that temporary and part-time workers don’t need to receive the same level of training as full-time operators, the truth is that they do. Comprehensive forklift training that involves formal instruction, practical training and a skills evaluation is required for any type of worker that will be operating a forklift. The overall cost of forklift accidents can lead to devastating outcomes, for both employees and business owners. The best and most effective way to prevent these costs is to enforce a strict protocol for health and safety, and to require that all operators complete forklift operator training and refresher training. CertifyMe.net offers the most convenient online forklift certification program that is 100% compliant with OSHA regulations. Employers spend a few minutes creating an account and inputting their company’s information. Employees then can access the program and complete the modules at their own pace, taking on average one hour to work through. At a minuscule fraction of the cost of forklift accidents and the repercussions, you can have your workers certified and prepared to prevent workplace accidents, injuries, damage, and fatalities for only $59.95 with CertifyMe.net.